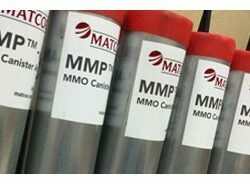 Canister Anodes: HSCI vs MMO | Matcor, Inc.
IS THIS SUITABLE FOR USE ON A SEA SIDE STRUCTURE IN FLORIDA? WILL ANY ADJUSTMENTS HAVE TO BE MADE TO USE IT IN THE ABOVE LOCATIONS. 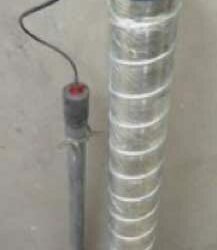 How is the final connection of the anode and the cable is done to the pipeline as it seems to be important. And different anodes are used for different locations based on the soil? Thank you for your question and we sincerely apologize for the delay in replying. There are two common methods for connecting the negative lead cable to the pipeline (or structure.) The first is to use an exothermic welded connection which involves a graphite mold, weld metal and a small weld charge. The exothermic weld charge is ignited and it melts the weld metal which then connects the copper cable to the surface of the pipe. 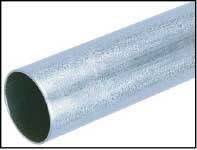 The exothermic weld charge is sized so that the heat generated is sufficient to melt the weld metal and form a strong welded connection without having any impact on the integrity of the underlying pipeline wall. The other method commonly used is pin brazing. Pin brazing uses a hollow pin with silver solder and a flux agent to secure the pin to the exterior wall of the pipeline using a special pin brazing machine. Once the pin is secured to the pipeline wall, a special crimp or connector can be used to attach the cable to the pin.